Given that jazz enthusiasts are typically well educated and have excellent taste, it’s tempting to go upscale when assembling JazzTimes’ annual Audio/Video Files gift guide. But the truth is, the music has fans at all income levels-and surely at many levels of generosity, too. That’s why we decided to put extra variety into this year’s guide. We’ve included suggestions at price levels from darn-near-stingy to almost lavish. Whether you want something for that jazz fan in your life-or you’re a jazz fan fishing for your own present-you’re sure to find a gift that suits the occasion and the budget. My vote for hottest stocking stuffer of 2010 goes to the $34.99 Kube MP3 player from Bluetree Electronics. 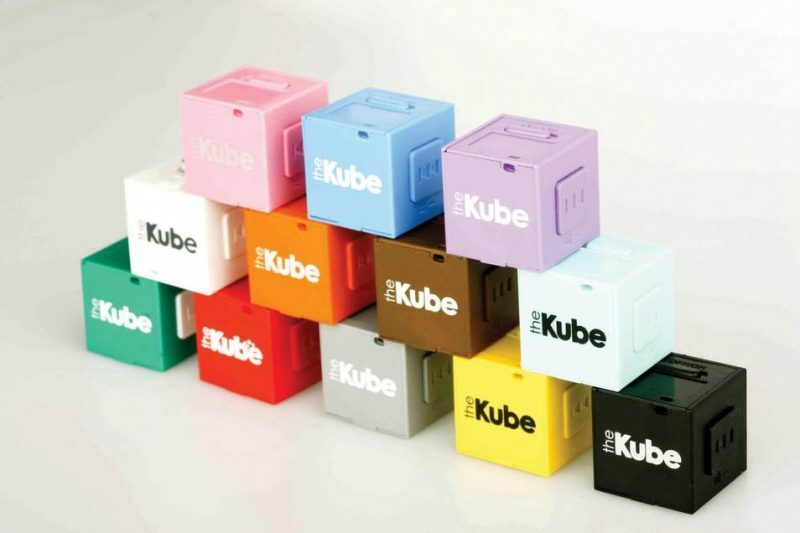 Unlike most super-compact MP3 players, the 1-square-inch Kube is easy and fun to use. Transfer MP3s from your computer onto the included 2 GB Micro SD memory card, slip the card into the Kube and flick the power switch. Because there are only three control buttons and no screen, you can’t easily select the music you want, so I suggest you load the Kube with favorites from a certain genre and just let it play. Right now, mine is bossa-themed, packed with Airto Moreira, Astrud Gilberto, Baden Powell and Walter Wanderley. The Cygnett GrooveBassball lets you share the tunes on your Kube, your iPod or your cell phone with others. Like the Kube, the GrooveBassball epitomizes minimalist design: just one input, a power/volume switch and a USB charging cord. I’ll confess I bought mine because I thought it was cute, but I find myself using it often. Frankly, the GrooveBassball sounds about as smooth as a thrift-store trumpet, but at least it outperforms most laptops. Essentially the same product is available as the Veho V360 and the iHome iHM7; all sell for $15 to $20. Surprisingly, there’s something you can buy for less than $50 that will actually upgrade the sound in most people’s systems: the $29.99 Ortofon Omega phono cartridge. The Omega was designed as a cost-effective upgrade for today’s inexpensive USB turntables. Based on my very positive experience with Ortofon’s similar $55 OM5E, I feel confident that replacing a cheap USB turntable cartridge with the Omega will be as much of a revelation as the first time you heard Coltrane. It should work wonders on a beat-up garage-sale turntable, too. When it’s time to step up the gift-giving, the safest recommendation I can make is a good set of headphones. Anyone can appreciate the sound-quality improvement that a good pair of ‘phones delivers compared with, say, stock iPod earphones. 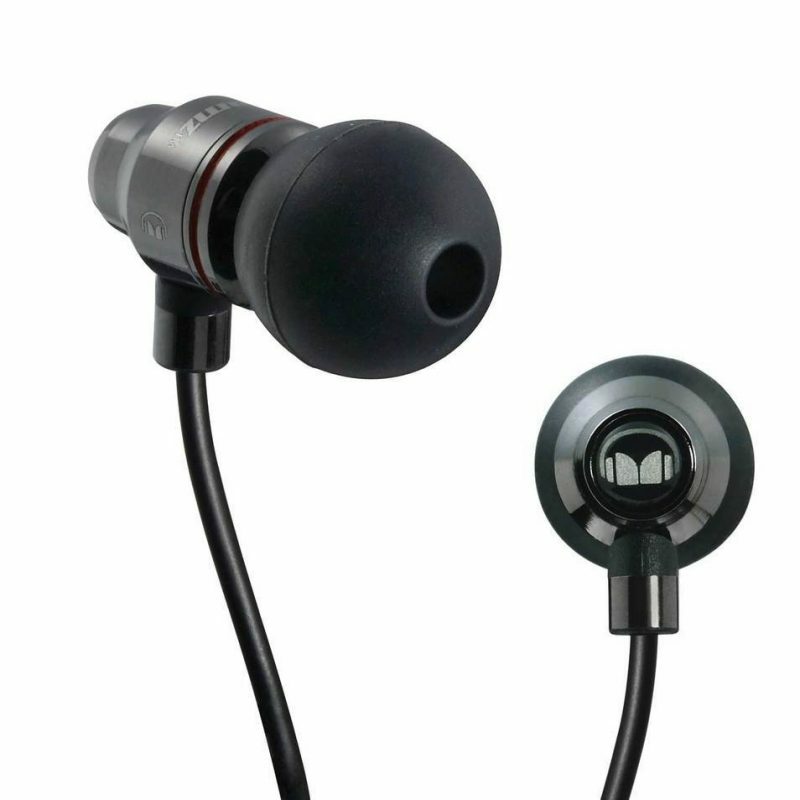 One brand that has recently earned the affection of audiophiles is Monster, which offers a line of high-quality, metal-bodied earphones with unusually comfortable rubber tips. The least expensive model in the line, the $79.99 Lil’ Jamz, delivers remarkably detailed sound for the price. Like most modestly priced earphones, it’s a little on the bassy side but is nowhere near as boomy as many competing products. An extra $20 gets you the Control Talk version, which lets you crank your Freddie Hubbard MP3s without worrying that you’ll miss a call. For that jazz fan in your life who plays an instrument or wants to record performances, the $129 ART USB Dual Pre makes an ideal centerpiece for an affordable, ultra-portable recording rig. Its dual microphone preamps with phantom power let you use the mics of your choice to make high-quality stereo recordings fast and cheap, and a headphone jack allows for easy monitoring. I’ve made superb recordings with nothing but the USB Dual Pre, a $300 netbook and a couple of $99 condenser microphones. The younger you are, the more likely you are to use a computer, phone or MP3 player as your primary music source-and the more likely you are to be listening with lousy sound. Fortunately there’s a way to achieve great sound quality without sacrificing portability: Soundmatters’ $199 FoxL v2. The FoxL squeezes a pair of speakers, a micro woofer and digital amplification into a 5 1/2-inch-long metal enclosure. Over the last two years, I’ve spent more time listening to the FoxL than to any other audio system; it renders everything from old Bird sides to the latest Miguel Zenón CD with natural tonal quality and shockingly full sound. The new v2 incorporates slightly improved audio performance and vastly improved Bluetooth capability, making it easy to use with cell phones, computers or any other source. Most jazz fans already have a main audio system, but they might not have a secondary system for the office or bedroom. 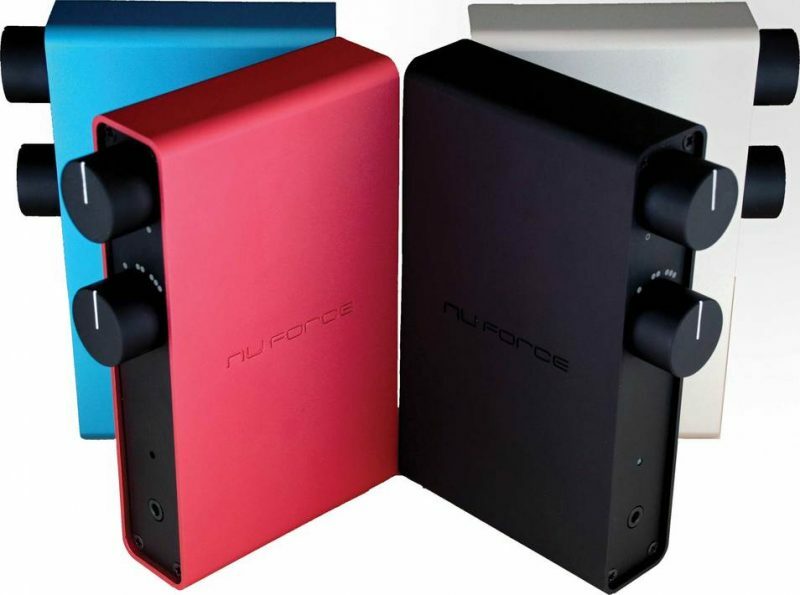 If that’s you or someone you love, consider the NuForce Icon-2 mini-amplifier for your holiday list. NuForce designed the $349 Icon-2 as the brains of a compact system. It has three inputs: one for a phone or MP3 player, one for a disc player or other conventional audio source, and a USB input for a computer. The stylish chassis incorporates a high-quality digital-to-analog converter, a headphone amp and an 8-watt-per-channel stereo amp. Add a pair of speakers and you have the perfect way to get a little Wayne Shorter into your workday. In the always expanding market of cool iPod/iPhone docks, Audyssey’s $399 South of Market Edition is so radically different and advanced that it makes everything else seem as outdated as a cassette deck. Not only does the South of Market have an iPod/iPhone dock, but it can also stream audio via Bluetooth from a computer or cell phone. A built-in mic turns it into a speakerphone for cell phones and Skype calls, and a clever iPhone app lets you create custom presets with the internal graphic equalizer. 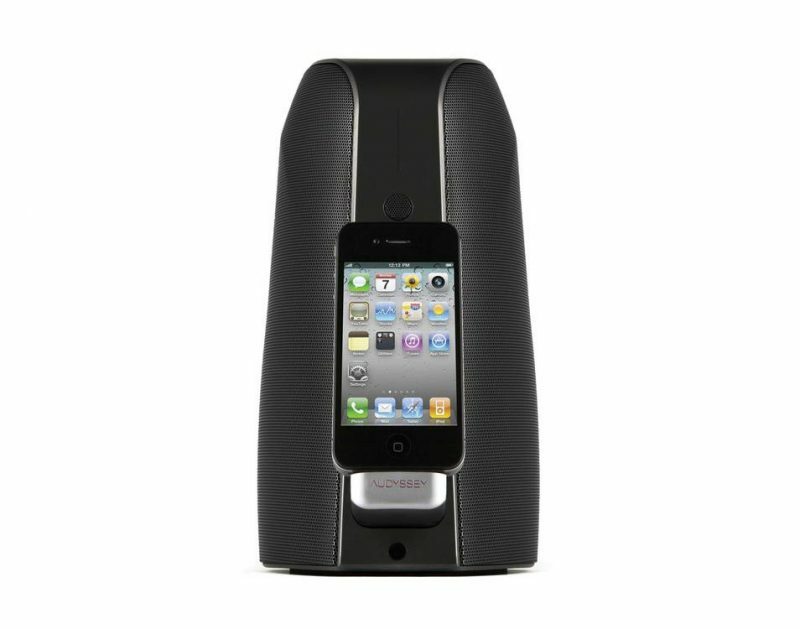 Two woofers, two tweeters, four digital amplifiers and a whole studio rack’s worth of digital audio processing make this the most advanced iPod/iPhone dock ever. Thanks to the explosion of online entertainment sources such as YouTube, Netflix and Pandora-and to the proliferation of TVs, Blu-ray players and set-top boxes that access this content-more and more of our media diet is coming through our TV sets. But as TVs have gotten thinner, their sound has degraded. Samsung has a solution in the $349 HW-C450 soundbar. The HW-C450 mounts right below your TV set, and the included wireless subwoofer goes anywhere in the room. Exposed woofers give the HW-C450 a unique look and a more open, musical sound than its competitors. And if you’re the lucky recipient, you’ll be happy to know that when it’s time to watch a movie, the rest of the family will enjoy your gift as much as you do.